The B600 gives the exercise bike a high-tech makeover, with an iPod� dock that lets you control your iPod� from the advanced console, and eTRAK� Performance Tracker technology. 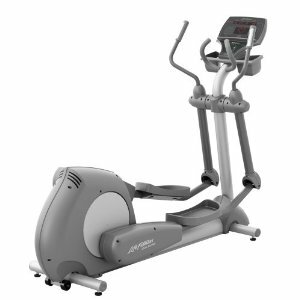 Plus a full 16 programmable resistance levels and 16 programs to add variety to your fitness program. User Feedback:2 LED windows, with extra long numeric display. Speakers: Yes, also made for iPod� docking station and control station. The B600 offers 16 programmable resistance levels, and 14 preset programs: Manual, Weight Loss (3), Cardio (3), Power (3), Energy Zones, Intervals (2), and THR Zone. Or create up to 2 custom programs. Capture important workout data, then view it by current workout, last workout, weekly goal, weekly total, monthly total, and lifetime. Secure your iPod�, then use the large control buttons integrated into the console. The iPod� never leaves the cradle, keeping it safe and secure. The rugged frame stays solid and stable under the fastest pedaling pace. Fully-adjustable seat to help you find the perfect riding position. The seat's contoured shape and lumbar support make exercising easier, and speed recovery time. FreeSPIN� technology lets you stop pedaling without sudden, jarring stops. Heavy-duty, 14-pound flywheel to deliver fluid motion. 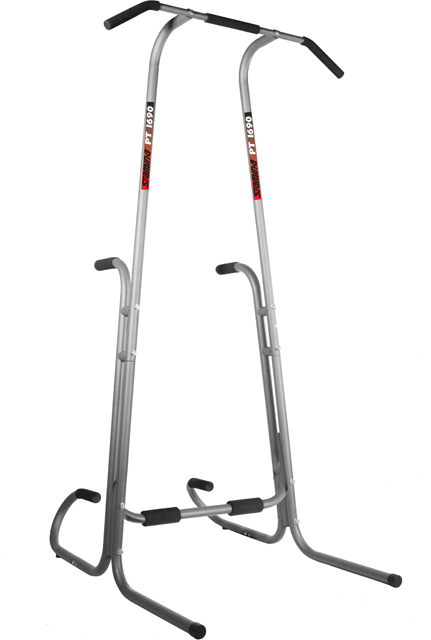 Magnetic brake resistance, with 16 resistance levels, remote toggles, and a lifetime warranty. 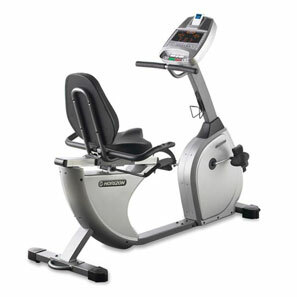 The "step-through" recumbent frame design makes the bike a great workout option for anyone. eTRAK� monitors and evaluates a variety of workout statistics over time. iPod� dock charges your unit as you control it through the console.